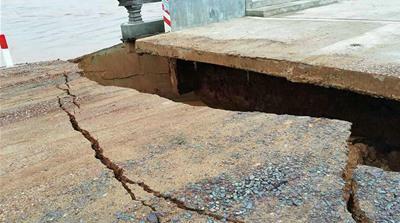 Thousands of people in northeastern Cambodia are being evacuated on Thursday as authorities scramble to cope with unexpected floodwater from the Xepian-Xe Nam Noy dam collapse in Laos that has flowed south over the border. On Tuesday, the Cambodian Ministry of Water Resources and Meteorology issued an alert “to be careful” in Stung Treng province along the Sekong River, a major Mekong tributary fed by the Xepian-Xe Nam Noy river system. Since Tuesday night, some 1,200 families have been evacuated from four communes in the province’s Siem Pang district, according to Men Kong, a spokesman for the provincial government. Provincial authorities also called upon civil society groups to help distribute aid. Kry Solany of the My Village Organisation, a local rights and natural resource management NGO assisting the delivery of clean water and food, expressed concern at the unpredictability of the situation as there was not a clear evacuation plan in place beforehand. “We don’t know where the safe places are for the people [to be evacuated]… We don’t know much from the authorities yet,” he said. 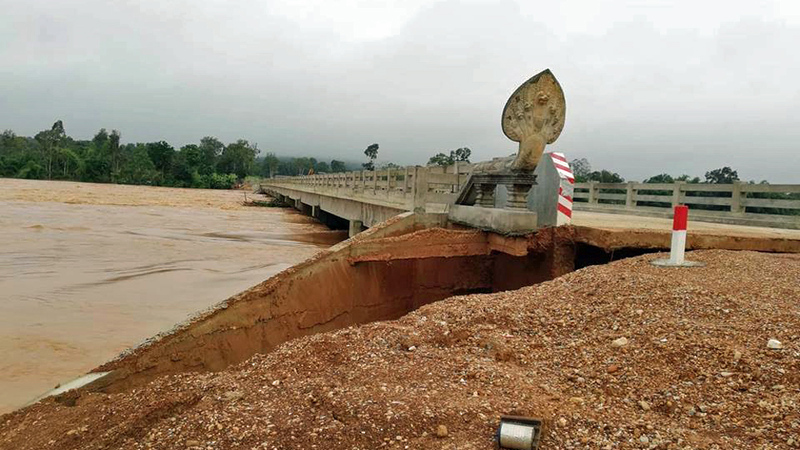 “Now in Siem Pang it’s a declared flood zone as the water level has passed 11.5 metres in the Sekong River,” said Kry Solany, adding by Thursday floodwaters will have reached the provincial capital, Stung Treng Town, some 100km south of the Laos border. “The people in Stung Treng mostly live along the rivers, so when the water levels increase they will be affected,” he said. Water Resources Ministry spokesman Chan Yutha said water levels continue to rise past 11.5 metres as about 200 soldiers and police have been dispatched to assist in evacuation. “We are concerned about the unpredictable water level rise,” he said. The Mekong River Commission (MRC), an inter-governmental body that works with Laos, Cambodia, Vietnam and Thailand on the management of the Mekong River basin, in a statement on Wednesday predicted the provincial capitals of Stung Treng and Kratie downstream should be spared from potential flooding in the next few days, but it will continue to closely monitor the situation.